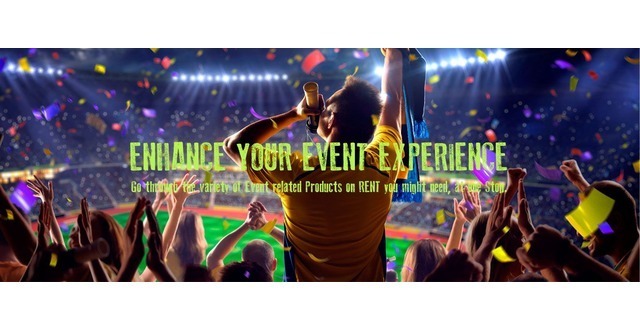 Hire4event.com a start-up company with a new concept in events like Equipment rental, event planning, venue selection and tour management. Anish, one of the team members, says “this time everything going online so started a portal for online equipment rental, Online event planning and venues”. People in India can plan there event on a click through our website. We are serving in event production and management. Now it’s very tough to find equipment, venues, artist and management at one stop but at hire4event.com things are available at one click. Some time people want to make events like they have seen before but they don’t know where to go take those thing on rent even they don’t know the name of those things we advise them just go to hire4event.com see the picture and hire them online. With the growing need of professional Event Planners and Organisers, Global Magic Consulting Private Limited extended its services with the new start-up web portal www.hire4event.com to fulfil the needs of the market for the Event Management and Equipment Rental for Events. It was 2015 when the idea came to one of the director to E-Commercialize the Event Management Industry on a single portal. The objective was to provide the overall Event Management Services from the equipment to the management required to plan a successful event. It was lazy and slow in the very beginning but with time the response was good and now a days, it is great. The market needs and wishes to hire a single vendor for the Event project to reduce the channels. With continuous work and amendments on the portal, which is still in process for the betterment of the portal, we somehow managed to include all the necessary elements for an Event like Artist requirement, Venue requirement, Equipment requirement, planning and so on.